We fell off the wagon today big time—two lunches in one day. 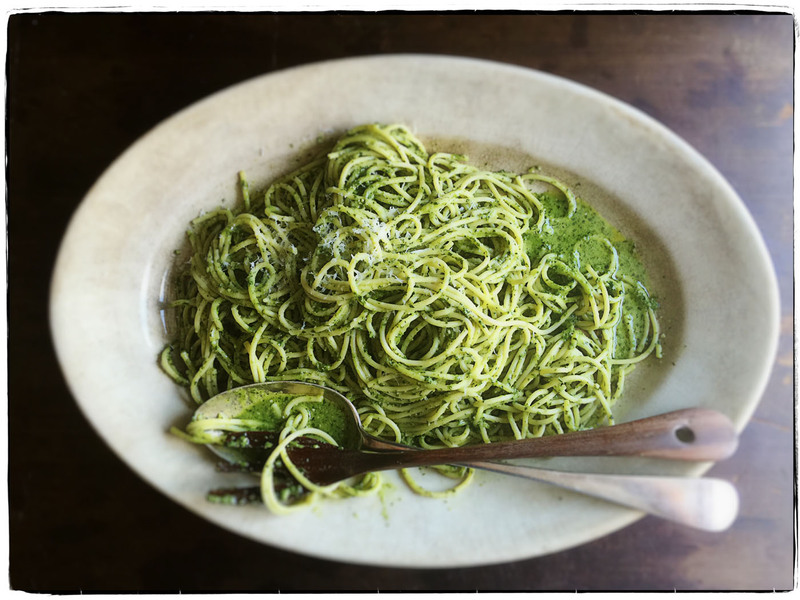 After our toasts, we had a huge platter of spaghetti with pesto. How could that be that wrong? Gather ye basil while ye may.